ATLANTA—As votes continued to be counted to determine the outcome of the controversial Georgia governor’s race, the state’s GOP officials reportedly demanded on Friday that Stacey Abrams step down as the Democratic candidate to avoid a conflict of interest. “It’s clear that the integrity of this important election will be violated if Ms. Abrams remains in her obviously biased post as the Democratic candidate for governor,” said Ryan Mahoney, aide to the Brian Kemp campaign, adding that Kemp had resigned as Georgia’s secretary of state two days after the election in order to avoid the appearance of partisanship and that it was only fair that Abrams recuse herself from her post as well. “Ms. 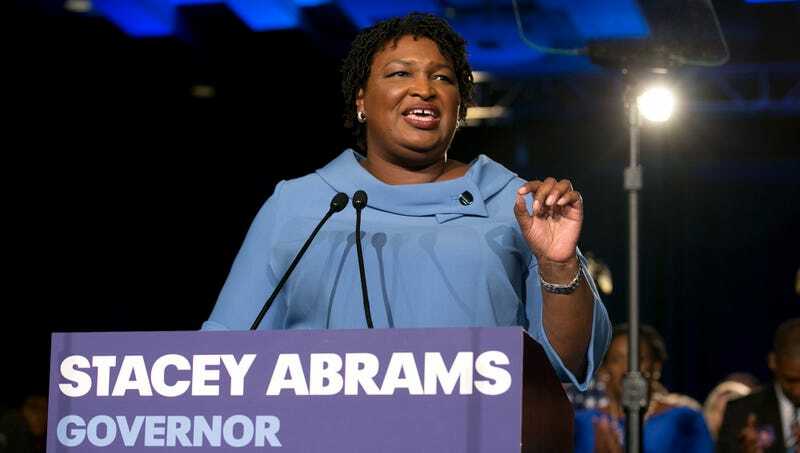 Abrams already displayed her appalling bias by appearing on the ballot as a Democrat in the first place, but stepping down as the candidate now would still allow the election to be decided fairly. We urge her not to indulge in blatant partisan behavior by manipulating the system so that all the votes are counted, and to do the honorable thing by giving up her candidacy.” Georgia GOP officials added that residents could avoid abetting Abrams’ compromised position by not voting for her in a runoff election.